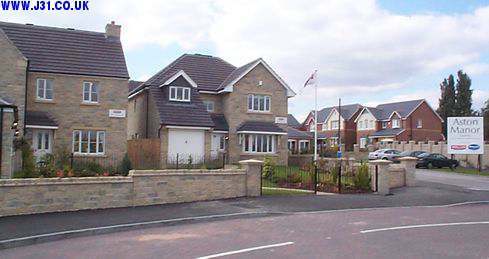 These houses, shown being built in mid 2000, lie between Swallownest crossroads and the Aston relief road. There are several new developments such as this planned, and underway, in the area. Interestingly, one of Jon Layne's articles mentions that in 1944 wartime opencast mining discovered evidence of medieval bellpit coal mines in this area.